DETROIT RUNNER....: Hello, Hello - I'm back! Rest day on the schedule today!!!!! As some of you have noticed, I have not updated the blog in over a week. That's because I was on vacation. We had a great week in Northern Michigan at the cottage but we also visited several other cities as well. It was a bit cool the end of the week but the entire week was freakin' awesome for running and I didn't miss one run! And run I did! I ran a total of 62 miles on my vacation - a new PR! Haha. And besides a couple 9 mile runs, I ran everything else on trails or dirt roads - loved it! 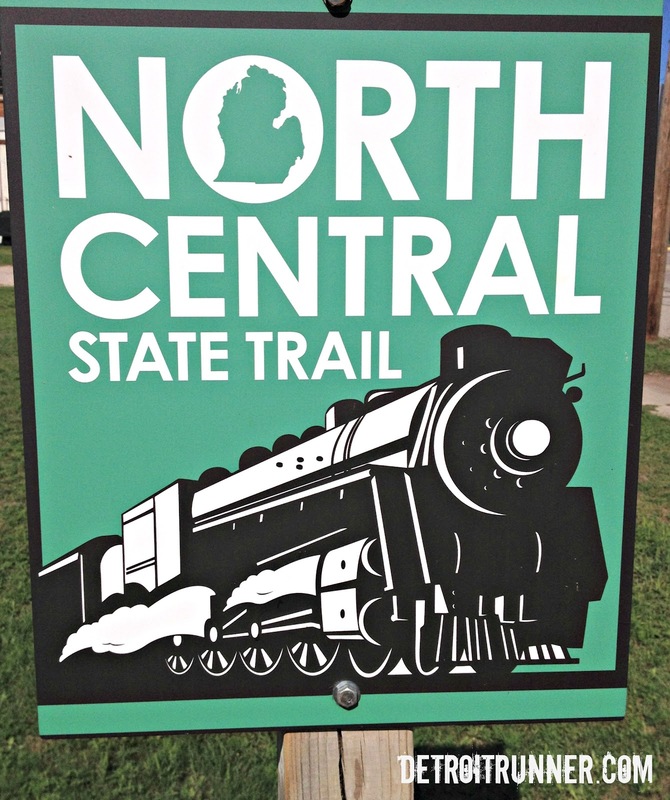 I headed back to the North Central State Trail and ran that a couple more time. I plan to run it again on Labor Day weekend as well from Indian River towards Cheboygan so I can run past Mullett Lake - a great view for a 20 miler! Here's a picture where you are just surrounded by trees. How do you like that straight shot? I prefer not to see how far I have to run. It's not all straight like this though. Here's a huge pond I took a picture of. You can see a HUGE beaver dam there and you could hear the water falling down it. Very nice. I also saw lots of Elk tracks but didn't see any Elk. Now that would have made for a memorable run, huh? 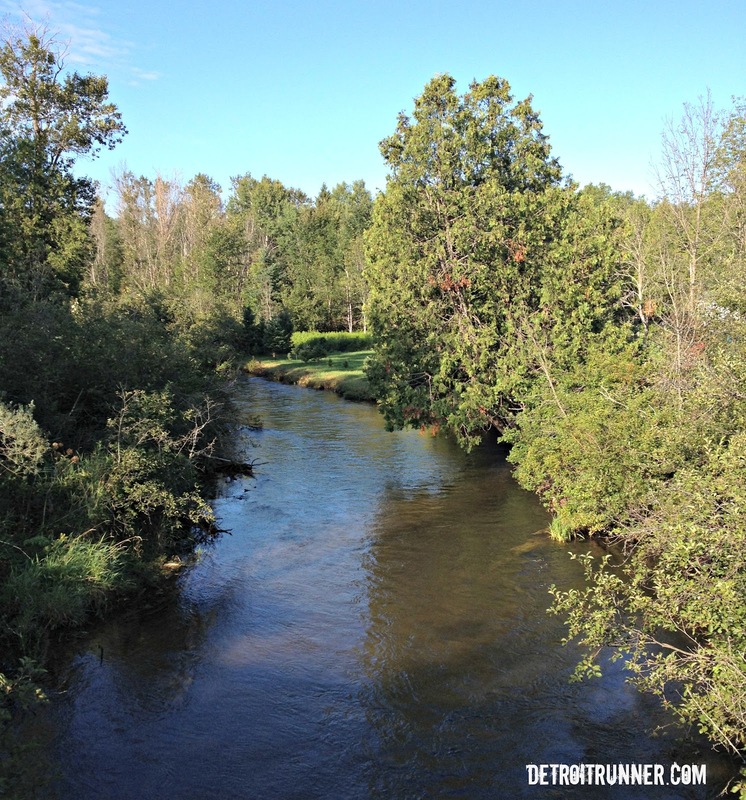 This is a picture of the Sturgeon River. I was getting close to Wolverine but was about 1.5 miles short of it. I had 19 miles on the schedule this day and was not about to run 22 miles just to say I got there and back. This was a great week to prepare for my first trail half marathon - The North Country Trail Half. I'm really looking forward to it except for the drive back up north again. Ha! It should be an interesting run and I'm hoping it doesn't rain for my first one. I still have a goal of being under 2 hours but I know the trails make you a bit slower so if I'm not under, it's no big deal. I'm just looking forward to a whole new running experience. There will also be marathoners and 50 milers running that day and Marshall Ulrich is going to be there signing his book the day before and starting out the race morning. I can't wait to see the fifty milers start - wow - and maybe get a picture with him. So now it's back to work and back to blogging. I've got some exciting news coming up a week from today! Hope you had a good week while I was gone. Bummer you couldn't plan the vacation and half-marathon for the same drive. :) Looks like a great week of running! I love those pics. Way to go on all those vacation miles! Damn!! I'll be in Michigan Labor Day weekend to see some family and hope to get some running in! That certainly looks like a beautiful place to run, with trees to cool you when it's way sunny and open spaces when it's not. Probably a good thing you didn't startle any elk.